A Wedding in Paris from Vancouver Wedding Photographer on Vimeo. 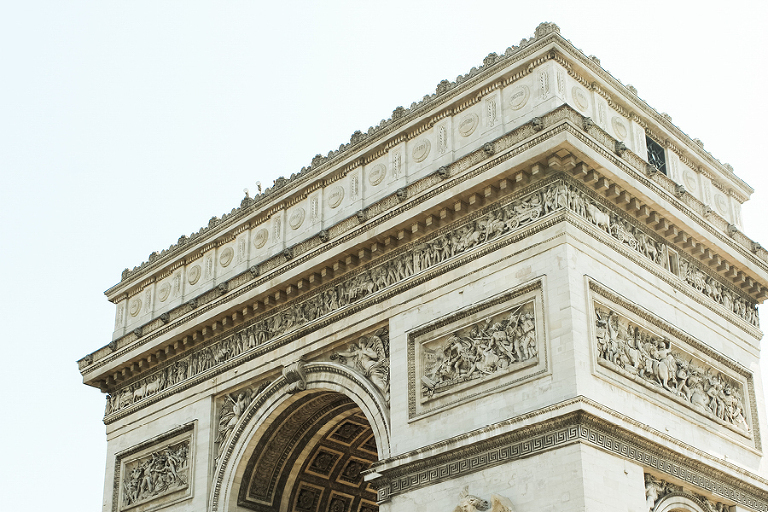 Why We Choose Paris: Paris has always had a special place in my (katy’s) heart; to me, it is the most beautiful and romantic place in the world! Mark and I were lucky to travel there together last spring, where we got engaged at Versailles. When starting to think about our wedding, planning a big affair at home just didn’t feel right. 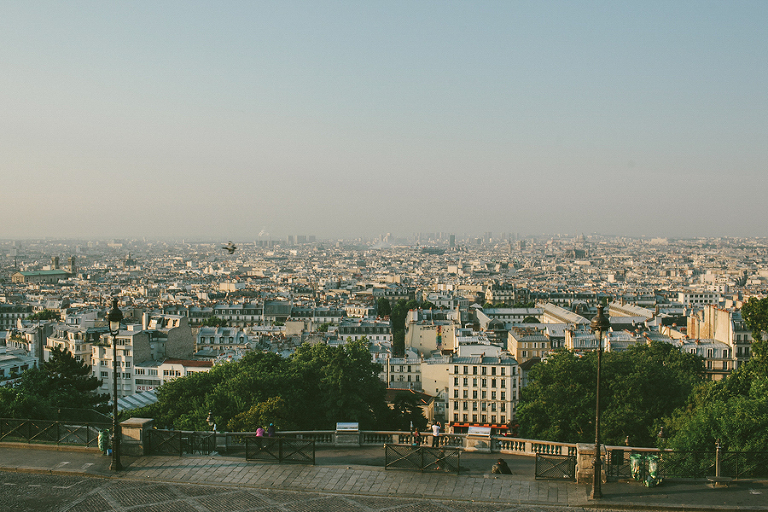 One night, we had the ‘crazy’ idea to run off to Paris for our wedding, and thought ‘why not’? It was the best decision we could have made. Ceremony Venue: Commanderie du Clos Montmartre: When searching for a wedding venue, we were looking for a small outdoor location that feel truly Parisian. We found the Commanderie, a small stone garden located right in the heart of Montmartre. It was intimate and private, but we were surrounded by the sights and sounds of Montmartre, one of our favourite Paris neighbourhoods, right outside the garden gates. Reception Venue: St James Hotel: Because we had only a small group of 20 guests with us, we wanted a reception space that felt intimate, but allowed us to really ‘wow’ everyone. The St James was the perfect choice. It is a private club/hotel located in the heart of Paris, with a very eclectic and bold design that is truly jaw dropping. When guests arrived, we headed to the back garden, which used to be the launching grounds for hot air balloons. Now, the hot air balloons serve as pop-up champagne bars (with leopard print fabric no less!). Inside, we had a private room for dinner service, where we sat at one long table, and had an incredible 5 course classic french meal. Decor/Floral Inspiration: Both Mark and I wanted to embrace a bold colour palette, and choose deep burgundy, red, emerald green, and navy as our colours of choice. We had seen a lot of beautiful weddings with pink/blush colour schemes, but this didn’t speak to us. Thinking of Paris reminds us of red wine, leather banquettes, smoky jazz clubs, and tree lined boulevards, and we wanted to incorporate these feelings into a bolder brighter palette that was bursting with the emotional romance of Paris! Favourite Part of Wedding Day: At the conclusion of our ceremony, Mark and I walked up the garden stairs, and turned around to look at our guests (and the many tourists that had gathered outside the garden) and have a celebratory kiss. It was the most perfect moment, hearing our accordion player in the background, sharing our joy with our closest family and friends, and looking out over the Paris rooftops in the distance. It just felt like a dream come true, and we were so extremely overwhelmed with joy in that moment. Favourite Wedding Week Moment: Our guests stayed with us for an entire week in Paris, and we made many incredible, once in a lifetime memories with them. We were so lucky and thankful that they were able to join us. Our favourite moment from the wedding week was the day after thewedding, when we had a farewell picnic at the Eiffel Tower. Everyone brought baguettes, cheese, macarons, and lots of wine, and we all sat on blankets and enjoyed our last night together while we watched the Eiffel Tower twinkle in front of us. Magical!